A good amount of the recipes that I have shared are recipes made from scratch. And yes, while they are still simple recipes, it is nice to have a few dessert recipes on hand that can be whipped out in less than 30 minutes (and does not require a mixer). 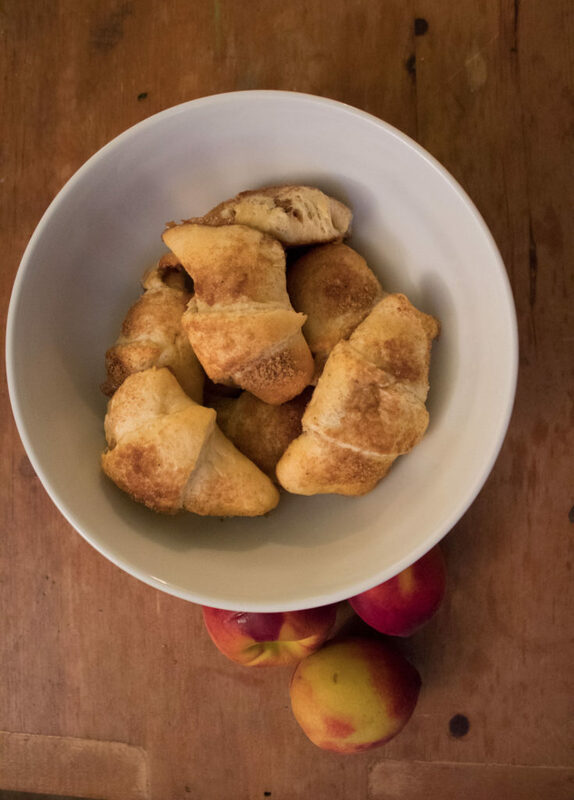 These Allergy-Friendly Peach Pastries are the perfect summer recipe that requires little work – but are delicious! Between my severe lactose intolerance, and my brother’s egg allergy, we do not have a lot of options for pastries that still taste yummy. 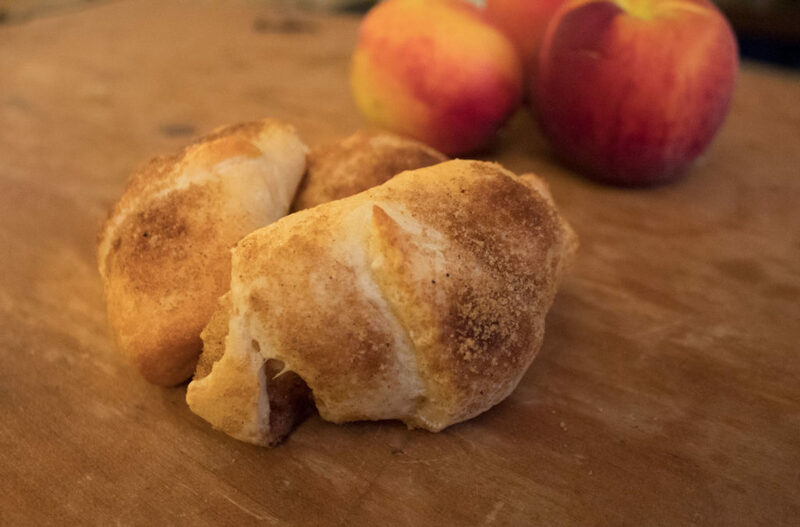 These peach pastries are the perfect solution to that problem! This recipe is also wonderful because the fruit can be substituted. 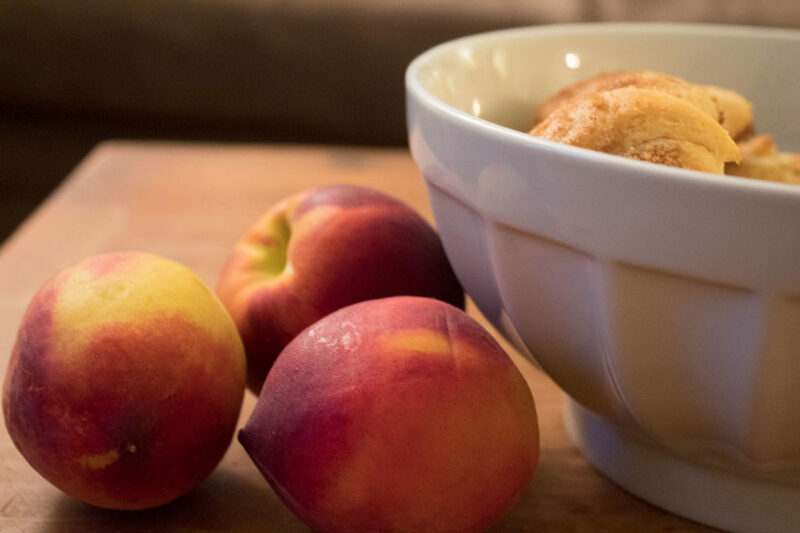 I have to say that peaches are my favorite, and work the best with the dough. My husband and I had friends over recently where I experimented with different kinds of fruit (cherries, strawberries, and blueberries). While they still tasted great, the berries would fall out when I would roll up the dough, and they got a bit messy! I suggest peaches, or granny smith apples, as the least messy fruit options. 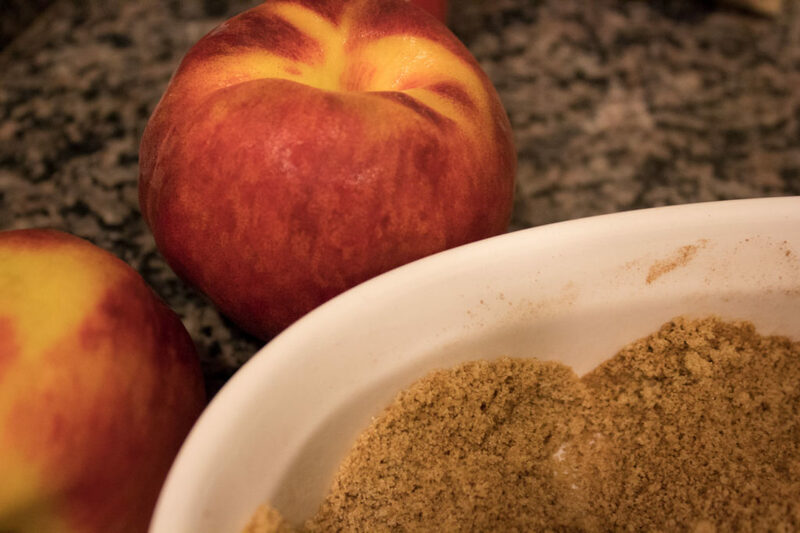 Combine brown sugar and apple pie spice mix. Arrange crescent roll triangles on baking sheet and sprinkle around 1 tsp. of sugar and spice mix on each triangle. 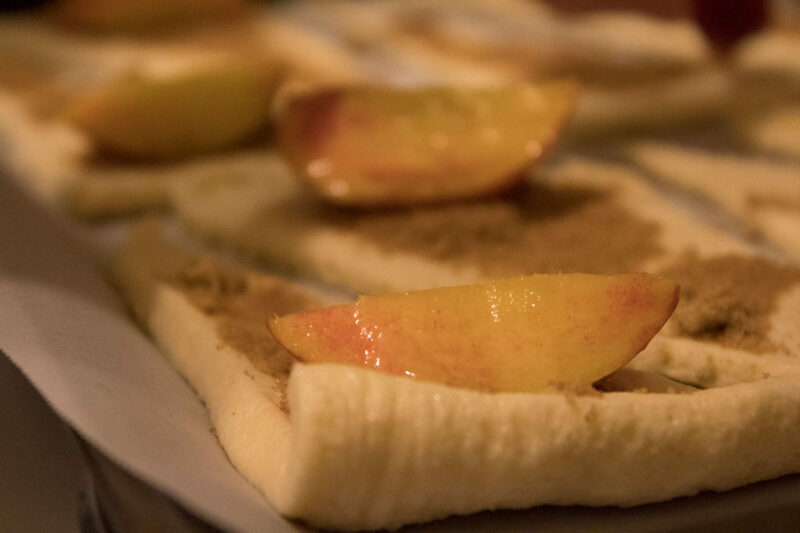 Melt margarine and toss peach slices in margarine. Place one peach slice on triangle and roll. 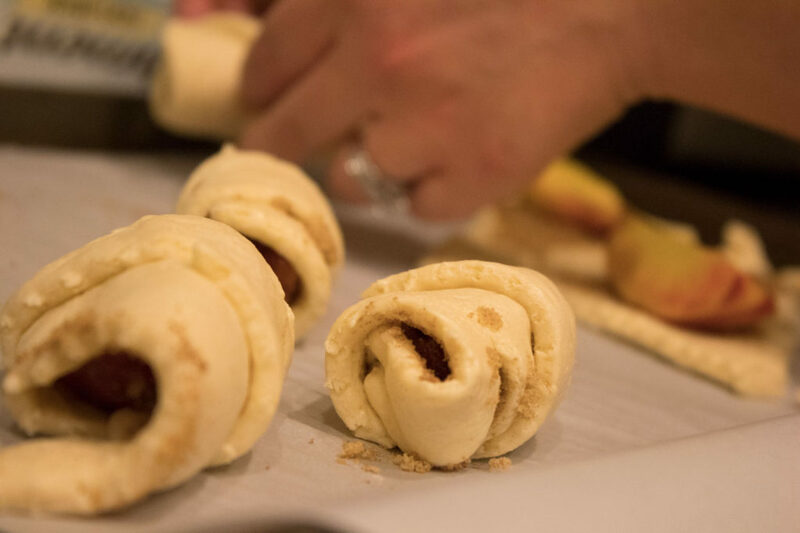 Brush the rolled up dough with leftover margarine and sprinkle lightly leftover sugar and spice mix on top. Bake for 10-12 minutes, let cool (not too much), and enjoy!